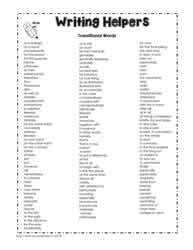 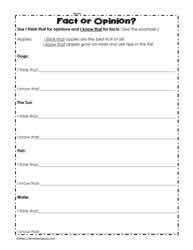 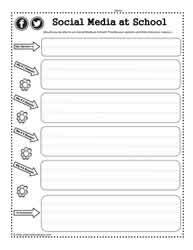 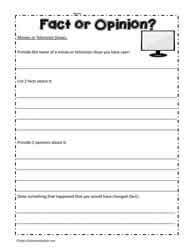 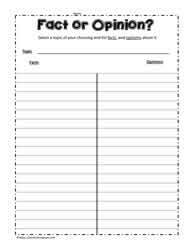 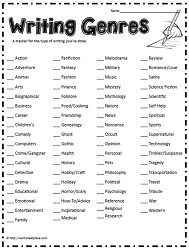 Fact or opinion worksheets. Fact and opinion printables. 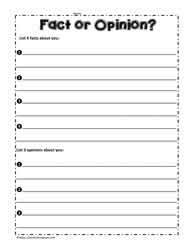 Fact or opinion lesson plans. 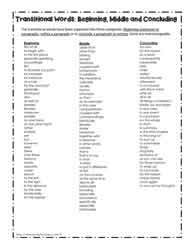 It is important to help students distinguish between facts and opinions. 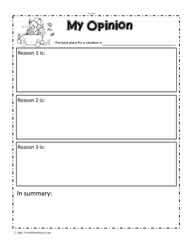 These worksheets were developed to help students learn the difference between a fact and an opinion. 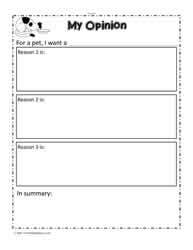 Examples of fact vs opinion are: dogs are four legged animals, vs dogs are my favorite pet.